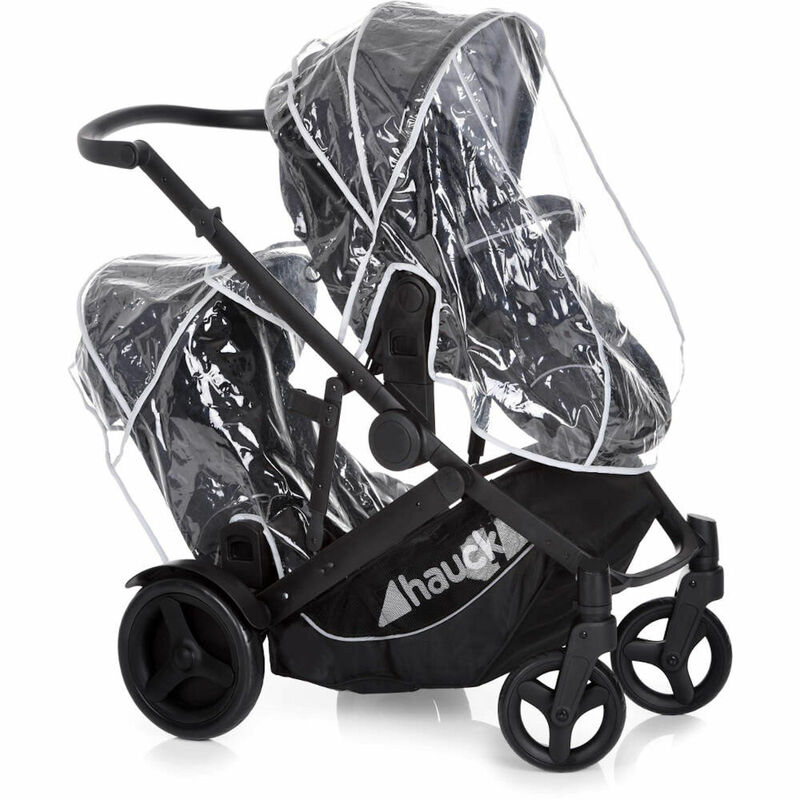 Introducing the one for all Hauck Duett 3, the clever tandem travel system ideal for siblings and the perfect solution for 2 children of different ages. With its many combination options, the Duett 3 provides the ideal companion from the very beginning and can even cope with narrow tracks. 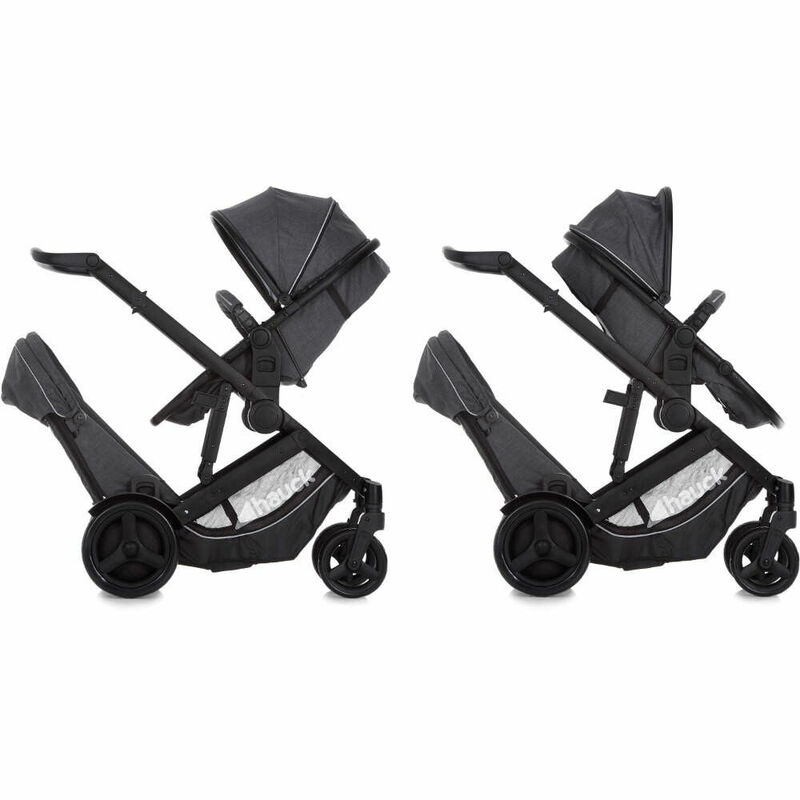 Your precious newborn will be safe and secure in the cosy carrycot whilst your older child rides along in the lower seat. 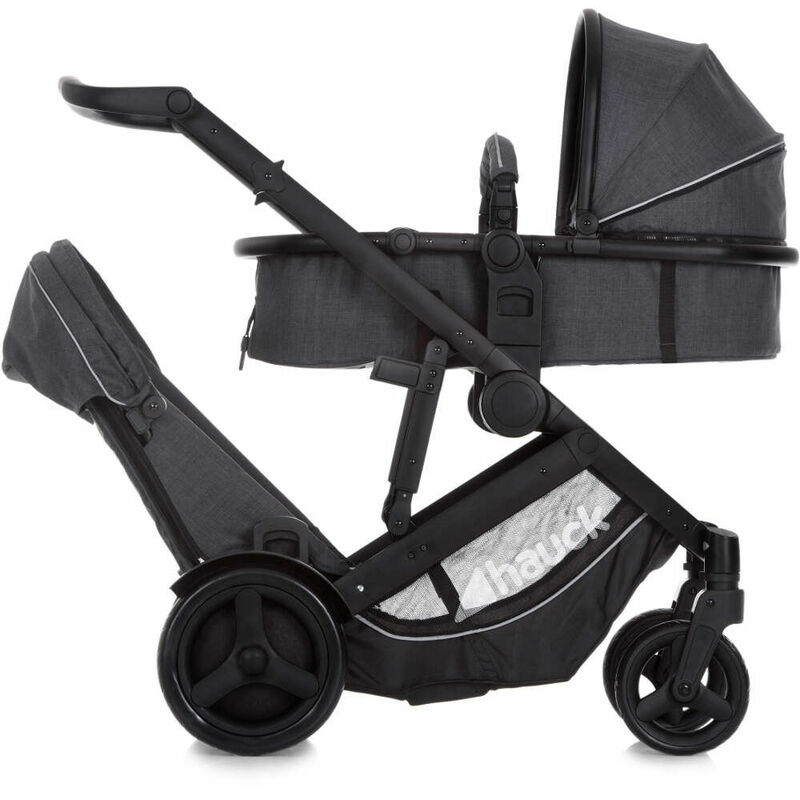 The innovative carry cot can be converted to a sporty (fully reversible) pushchair seat and the second seat is fully removable, leaving you with just a 2 way facing single stroller when required. 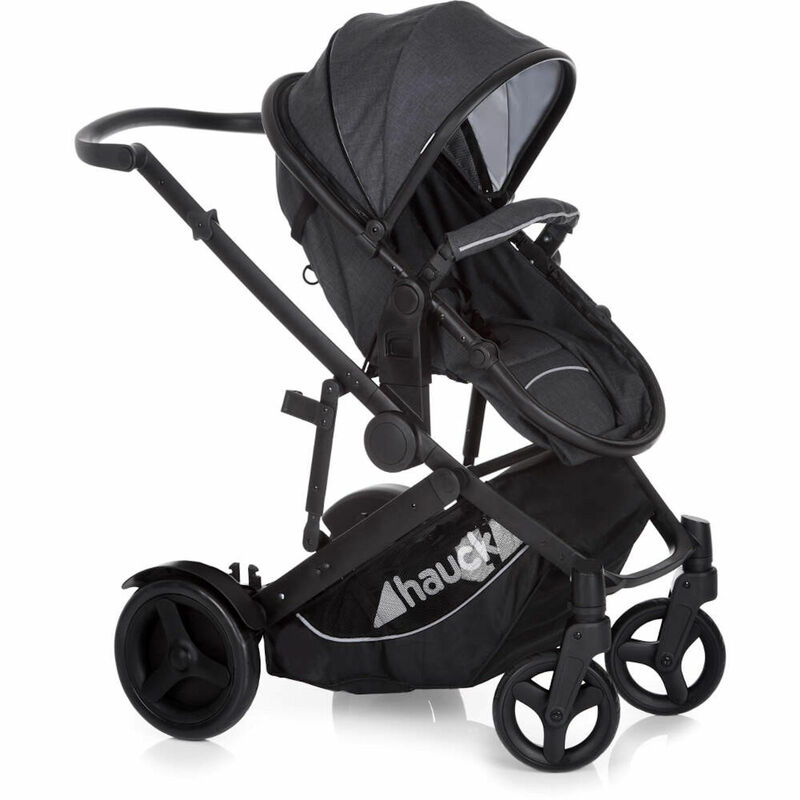 The push handle can be adjusted in height, whereas the wheel guard on the rear wheels prevents your child in the second seat from interfering with the wheels. 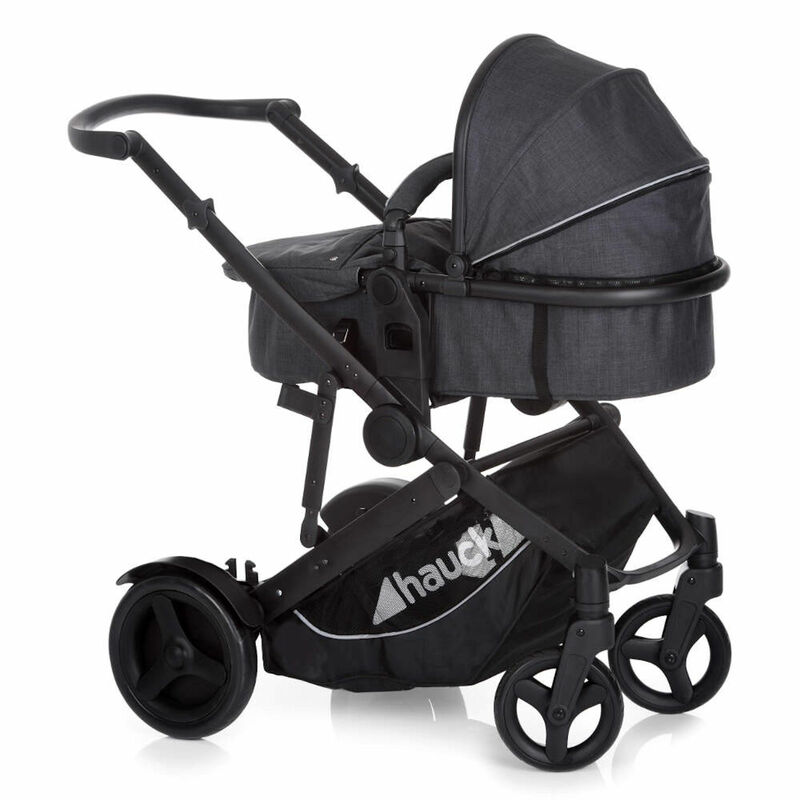 Featuring a light aluminium chassis, puncture-proof comfort tyres and lockable front swivel wheels this tandem pushchair provides a comfortable ride and drive on all surfaces. 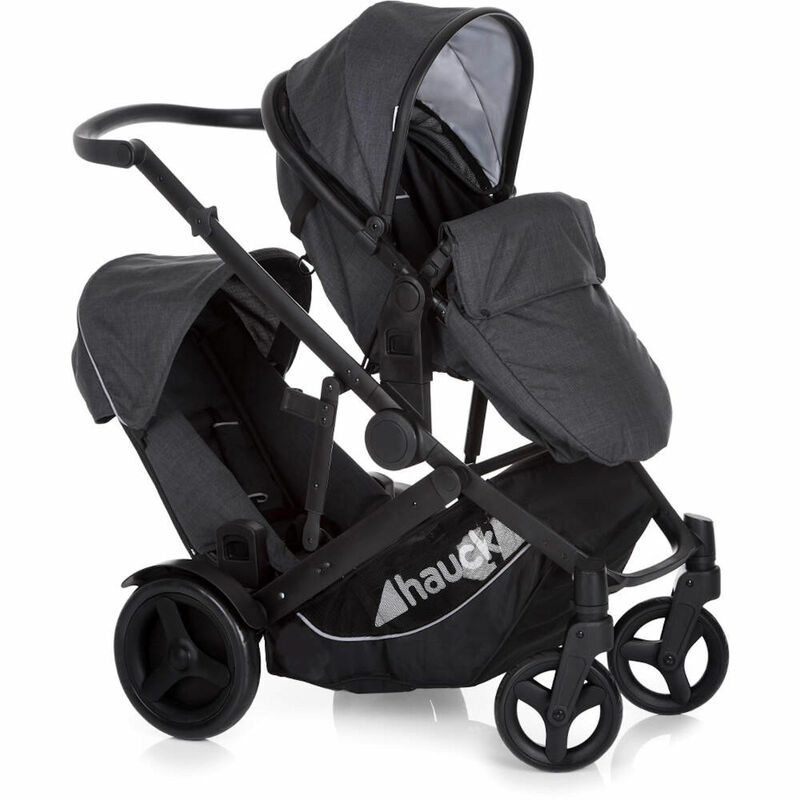 The Included Hauck Comfort Fix Group 0+ Car Seat is approved for babies from birth - 13kg and turns your Duett 3 into a clever travel system. Featuring patented, energy absorbing foam in the head and shoulder areas, the car seat achieved optimum results in crash tests and due to the high-quality, breathable, stretchy materials, you can be sure that baby is kept comfortable at all times. The Isofix base provides easy, safe fitting and peace of mind every time. 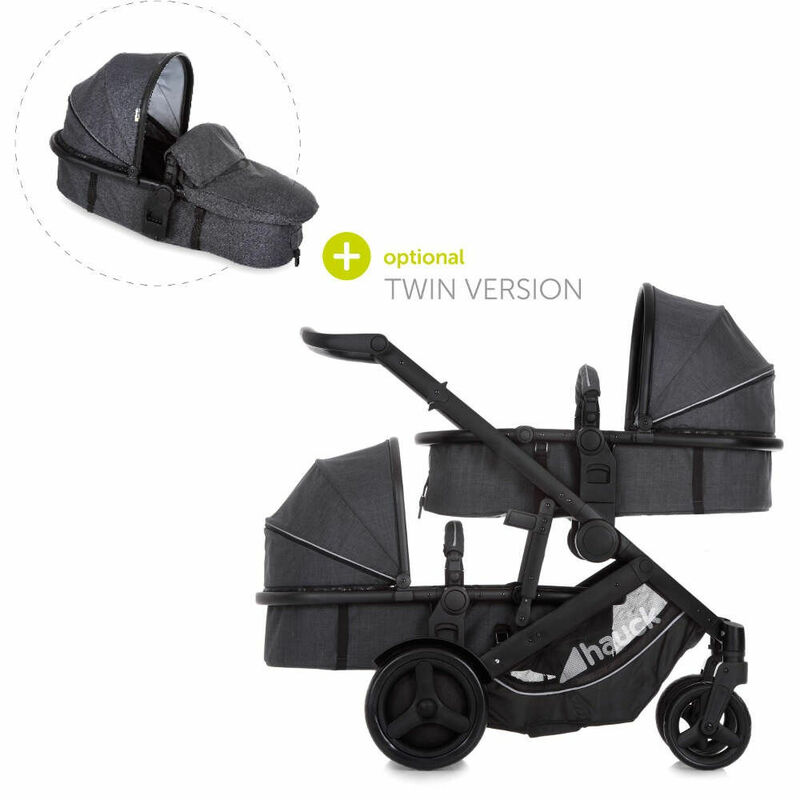 The base stays firmly in your car, fixed to your vehicle's Isofix connection points, and the Comfort Fix infant carrier simply clicks in and out as you need it.